Talanoa Input for the COP23 UNFCCC process under the Paris Agreement. 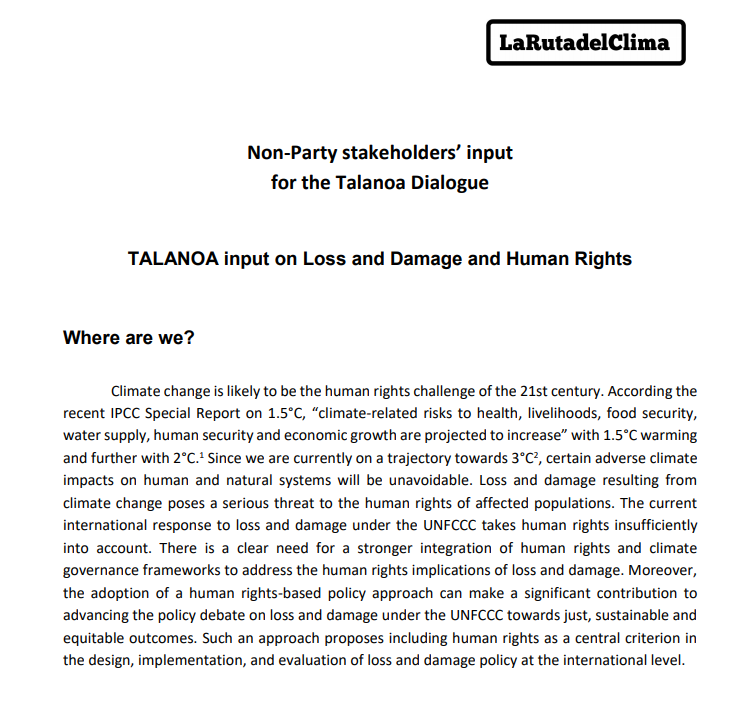 Within the framework of the Talanoa Dialogue, La Ruta del Clima as a non-governmental organization of the United Nations Framework Convention on Climate Change submitted two “Inputs” one about Public Participation Enhancing Climate Action and the other on Loss and Damage and Human Rights. 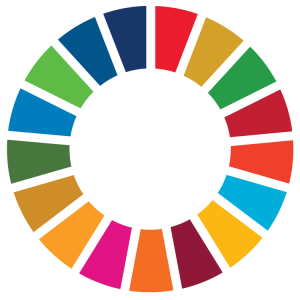 Within the framework of the Talanoa Dialogue, La Ruta del Clima as a non-governmental organization of the United Nations Framework Convention on Climate Change submitted an “Input” related to the importance of Public Participation in national and international climate governance.